For several years now, I’ve loved raising some of the most beautiful ducks in the world. They were a daily reprieve for me from the stresses of the world. Yesterday the last of them was taken away from me. Four days last week I fought an unknown predator that took one each day or ate them inside the aviary because he/she could not get them out through the hole it had made to come in. In all my three Wood ducks, one male and two females were killed along with one of my Mandarin males. I eventually learned through paw prints it was a raccoon. I was bound and determined to outsmart the little devil, but he/she finally won the war. 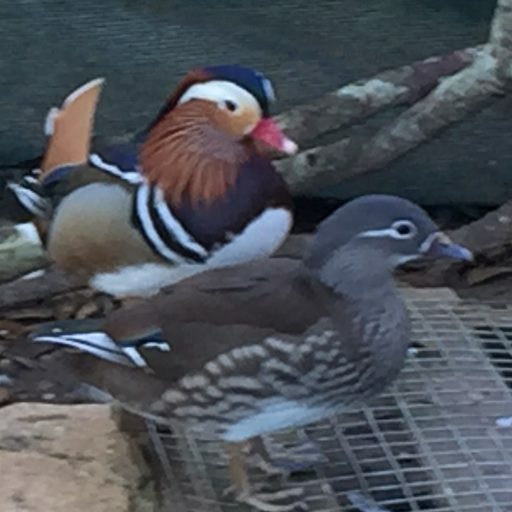 After thinking I had won last week, I settled in nicely to having one male and two female Mandarins left which would bring a nice clutch into the world soon. So when I walked out to the aviary yesterday and found the male and one of the females dead, I was devastated. The only living duck I had left was a female named Jackie. She was sitting quietly on the side of the pond. I don’t know how long she had been sitting in that one spot but I have a feeling it was a long time. Jackie is about 4 years old. She is a wonderful mother to her offspring. She was the Alpha duck to the others. The aviary was her territory and she was queen. But I knew I’d lost the war with the raccoon and if she was to survive I’d have to give her a chance by freeing her to find her kind on the lake. So I opened the door wide and tried to shoo her out. But she repeatedly tried to stay inside. It was the only place she knew. Finally I got out a net and guided her through the door. She took flight and I cried. I left the door wedged open in case she needed to return for food. But I wanted her know she was meant to be wild and could fly away. It is Spring and her instincts should be strong to find another mate. I’m praying she will. I just couldn’t bear to leave her in the aviary which had become a death trap. Oh no! We get so attached . They are so beautifully colored they don’t look real. Thank you. I will miss them terribly for a long time. I am reading these backwards…how sad…and yet more recently how wonderful. I love that you take care of wild animals like that. They become your dog, your friend, someone you can take care of. To take your mind off the crazy world around us. Thank you for the story….and..in a couple of days…the ending. Or is it beginning? It is definitely the beginning. There are now 5 eggs on the next (probably 6 today) and the new couple are doing wonderful. I can’t wait to see the new ones. I read your comment above about starting over with 5 or 6 eggs and a new couple. I hope you have out smarted that racoon this time. I am sorry you lost such beautiful ducks Phyllis. A new spring filled with hopes and dreams of a life long experience with new ducks. Glad you have a strong will power ! Actually I think it was Jackie who has the strong will power. I was so ready to tear down the aviary instead of build it up, but when she returned and wanted to stay despite the door being wide open for two days, I couldn’t disappoint her. Animals accept loss and have great will to survive much more than humans. The aviary will be filled with babies in a about a month and it will be all new because of her. She didn’t let me give up. Jackie knew when she returned and the door was open you wanted her back. This is her home to raise her next family. 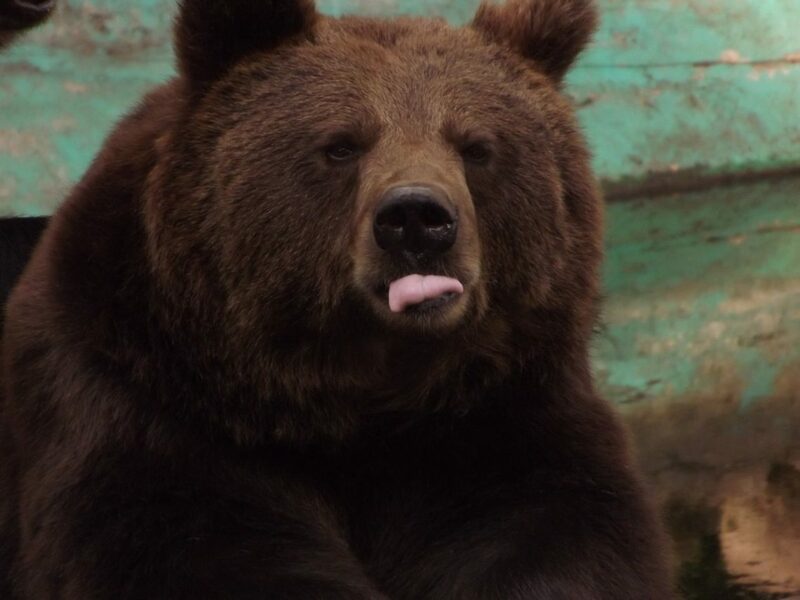 Animals sense things more than humans do. Good luck with the aviary becoming full of ducklings soon. You are very welcome Phyllis !